Wouldn't it be a sight if the Apostolic movement was unified? How much more power could we have if the Right went to war for the Left, and the Left for the Right. If we could have dialogue one with another, even contend over Scripture, but still acknowledge the brotherhood? What could be accomplished through unity? If we would bear one anther's burdens, if we would pray for the church across town, what would happen if we presented a united front against the enemy instead a fractured and squabbling people? Divided we are conquered, unified we conquer. Why do I push for a unified front? Because I have seen something withing the “emerging church” movement that gives me hope. Now before you think I have lost my mind, give me a chance to explain myself. 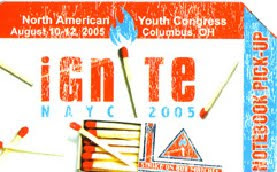 The emerging "church" movement is a flamboyant representation of what is anti-Christ. For those of us who are a part of it, please proceed to the nearest prayer room and find Jesus again. If you are frustrated with the way He has set before us, it is because you do not have, or do not allow the Holy Ghost to work in your life, and this is easily remedied in God. I am the type of person that reads books from all sorts of authors, but at all times guarding the doctrine that was once delivered unto the saints. I know that most of their writings are incorrect. They ask questions, yet are blinded to the answers that are right in front of them. Out of frustration they employ new programs, new thought processes, it's as if there is constantly a “new” thing coming down the pike. I don't know if its just to sell books, or they are really concerned with helping people, sometimes its hard to tell. 51% of Protestant teens say they left their childhood religion because their spiritual needs were not being met, and the popular answer of our generation is to blend God's doctrine into our culture and hide the gospel within the bonds of humanism. What a crime. People are searching for something more than their minuscule life that appears to be going no where but the weekend, and we attempt to hide the gospel; making it almost impossible to find the right paths because of our own ignorance. Modern church seems to define a revival as an influx of people, but I would like to challenge this. While I think that the influx of people is important, that is not what is most needed in our today. We need to revive what is dead within us before we can change the world. If we were to be honest, maybe not you, or your local church, but we all know those that attempt to conquer the world, yet have no prayer life and live as wretched as the world they are trying to reach. We need to be re-baptized with a desire to please Jesus no matter the cost. We have to realize that the Bible always wins. 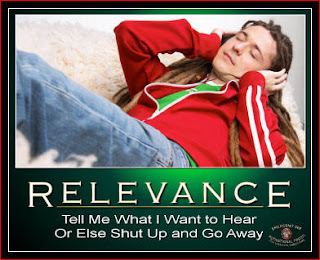 People are not searching for something “cool” or “relevant”, what they are searching for is the answer (the answer is that which is truly relevant and not something that appears identical to the sin they are living in). The answer to why we are here, and a connection to the God of heaven and earth. When we forsake preaching the Holy Ghost, baptism in Jesus Name, and holiness, we become some of the worst human beings to have ever walked the face of the earth. How righteous was Hitler compared with a man who refuses to teach the sound doctrine of the Word. (Yes, even separation. Don't bother calling yourself one of Jesus' if you don't teach it. He doesn't bother calling you one of His either.) We know the path to eternal life, and yet for ego, pride, and acceptance we hide the true path from their eyes, hoping to amass a number, or gain acceptance, for we know that the path that leads to eternal life is not an easy path and it goes against our flesh completely. There is no more damnable transgression of one that knows the truth, yet changes the Bible to appeal to secular humanism. Take a great caution of the men who do this for they pen cleverly disguised satanic philosophies written for the explicit purpose of taking root in our hearts that we may believe a lie. The world is hurting, they are searching for something more, and we have the answer they seek. If you will follow the bible, you will change lives. Too often we think that if people aren't flowing into our churches by the dozen then we are ineffective, this is not true. We need to learn to be patient, and in that patience possess our souls.The cry of this world is too great to be trusted in men's wisdom. We have to rely on the Word of God for the answers. In everything you read and watch, you will see people looking for something greater, something beyond themselves, a purpose and meaning to life. There will come a time, and it's approaching rapidly, when the names Apostolic and Pentecostal will have far different meanings from the early days of the Holiness movement. We have to make sure that we aren't infatuated with the “Apostolic culture” as much as we are attached to the Word of God. You can see the evidence, even now, of our own churches, searching for the power they once had, and making wrong decisions in hopes of finding a shortcut to obtain it. You cannot put a price tag on the power of separation and godliness. You cannot put a price tag on the power of the Holy Ghost and baptism. There are levels in God you cannot obtain without them. Don't believe me, test the spirits at local churches, you can tell those who are moving toward the Spirit and those who are moving toward the spirit. The price is high, and the reward is great. The world is searching hard to find the answers we have. We must unite together to bring the gospel to the world. Will that mean that we must dialogue with one another to address some of our own issues, yes. But as Iron sharpens Iron, we will become stronger from conversations and Biblical discussions with each other. Some of us may learn that abominations are just that, and others may learn the history of the “red shoe doctrine” and why its no longer applicable, but without brother speaking to brother, none of this is possible. We would all do well in remembering the founding of America, and the strength in unity.